In pop culture-land, relevance is all about now. Who’s hot. What’s trending. But if you’re like me, that definition is deeply unsatisfying. And the experts are on our side. Remember Deirdre Wilson & Dan Sperber–the cognitive scientists who described relevance as something that “yields positive cognitive effect”? They are leading theorists in the study of relevance. And their definition of relevance is more complex–and useful–than simply what’s hot. How likely that new information is to stimulate a “positive cognitive effect”—to yield new conclusions that matter to you. How much effort is required to obtain and absorb that new information. The lower the effort, the higher the relevance. These two criteria for relevance apply to all the stories in this book. Think about Kellen and the Japanese-American family. The museum was linked to the experience of the grandfather in the family, but it was the newspaper that unlocked new value and meaning. Not every newspaper in the collection was relevant; only the one that had the birth announcement generated the “positive cognitive effect.” It was the right key for that family’s emotional connection. That key was hard to find, but not impossible. If those newspapers hadn’t been indexed, or if it had taken days to find the right one, the family and Kellen might not have bothered. The effort was manageable. They found the key and turned the lock. These criteria for relevance apply to both extraordinary and everyday experiences. Imagine you are considering going out to see a movie. You start seeking relevant information. You read a review that gets you excited about a particular film (a positive cognitive effect). You feel confident you’ll enjoy that movie. If it’s playing at convenient times at a theater nearby (low effort), you’re set. You buy a ticket. But if the movie is not showing nearby (high effort), or the reviews you read are conflicting and full of muddled information (negative cognitive effect), you’re stuck. You don’t get the useful conclusions you seek. It takes too much effort to find the right key to the door. You stay home. Fulfilling these two criteria well can make a huge difference in how people respond to information. I saw this in 2015, when the World Health Organization released a study showing that processed meats—like bacon, ham, and sausages—are among the top five most cancerous products, alongside established killers like cigarettes and asbestos. When I first saw this news, I was nonplussed. My husband and I are vegetarians, and for years, we’ve been reading studies like this. Top international health organizations have claimed for decades that a meat-free diet is vital to human health (not to mention reducing climate change impact). Period. I assumed this 2015 study would have the same impact as all the others. Vegetarians and vegans would pass them around. We’d hesitantly foist them on our meat-eating friends and family members, expecting a mixture of disinterest, disbelief, and derision. And then everyone would go back to eating what they eat, believing what they believe. But the 2015 study was different. It blew up on Facebook. It spawned thousands of news pieces, not just on health and foodie sites, but also on news outlets high and low. National papers. Business pages. Tech magazines. Op-eds. Blogs. I walked into the dentist’s office a week after the study came out, and the hygienist who cleaned my teeth told me the story had inspired her and her teenage son to stop eating meat. Here I’d spent years fumbling to get people who love me to even discuss the impact of eating meat, and one press release had motivated her family to give it up entirely. I was blown away. How could one study—showing exactly what many other prominent studies have shown—have so much impact? 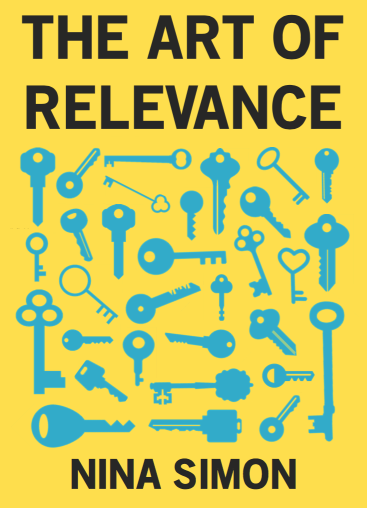 Consider the 2015 study in the context of relevance theory. The study linked two things that mattered to Americans in 2015: bacon and cancer. These are both emotionally-loaded topics. As a nation, we love bacon and eat it whenever we can. We hate cancer and avoid it however we can. When a study links something we love to something we hate, it yields a conclusion that matters to us. The first criterion for relevance is satisfied. The research creates a surprising new connection between two things we care about. The mouthwatering sizzle of bacon on a pan. The pain we felt when our aunt went through chemo. It’s impossible not to experience a “cognitive effect” when reading about it—whether it yields a conclusion of distress, resolve to change, or somewhere in between. The effect may not be “positive” in how it feels, but it is “positive” in that it adds information to the decisions at hand. You could argue that any study about the health impacts of food is relevant to all of us. After all, we all eat. But that relevance is only meaningful if it yields a conclusion that matters to you. And if bacon suddenly tastes like the pain of your aunt dying of cancer… that matters. Throw cigarettes into the story and you satisfy the second criterion for relevance. This study’s conclusions were easy to understand. It took very little effort to connect the dots between our past experiences as a nation with cigarettes and new implications about bacon. Americans used to love cigarettes, until we discovered they cause cancer. Now, for the most part, we hate cigarettes. Does this mean we will one day feel about bacon the way we feel about cigarettes? Will little kids throw away their parents’ processed meat, crying that they don’t want to see Daddy die? I hope so. But I suspect that the effort required to act on these conclusions will be too great for many bacon-lovers. There may be people like my dental hygienist out there, making a big effort based on the conclusions she has made. But there will be others who accept the information (the positive cognitive effect) but not the effort required to act. If we want our work to be relevant, we need to satisfy both criteria. We need to provide a positive cognitive effect, and we need to make it possible with minimal effort. How likely is someone to derive a positive cognitive effect from visiting your site? How much effort will it require for them to do so? If it’s easy to visit, and the experience yields value, your work is bound to be relevant. But if it’s difficult to visit, and the value of the experience is hard to describe, why would anybody care to try?